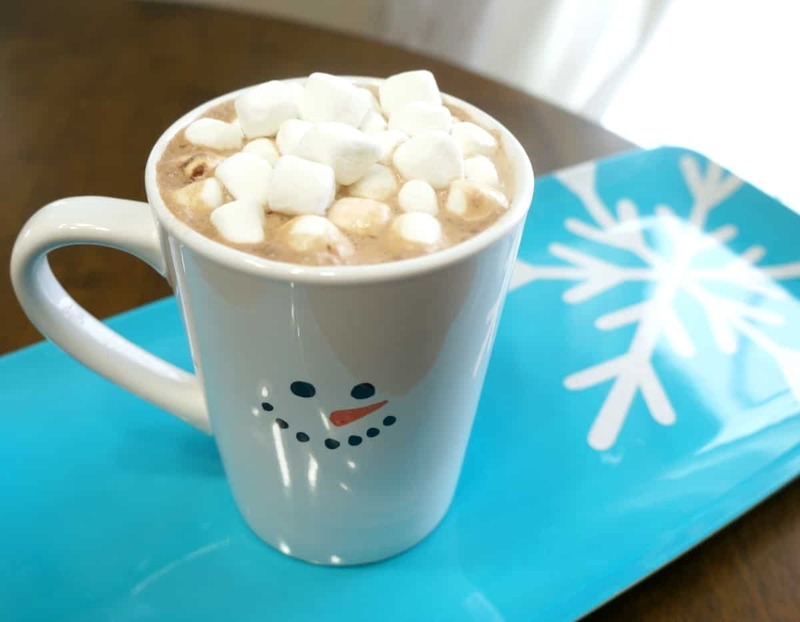 Winter and hot cocoa go hand in hand. My kids have come to expect a warm drink by the fire after a long day of playing in the snow. 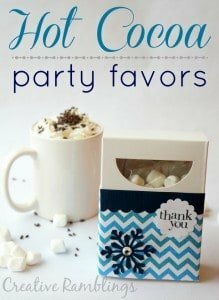 I usually join in too, because who can pass up hot cocoa? Check out this cocoa recipe if you want to try something really indulgent. 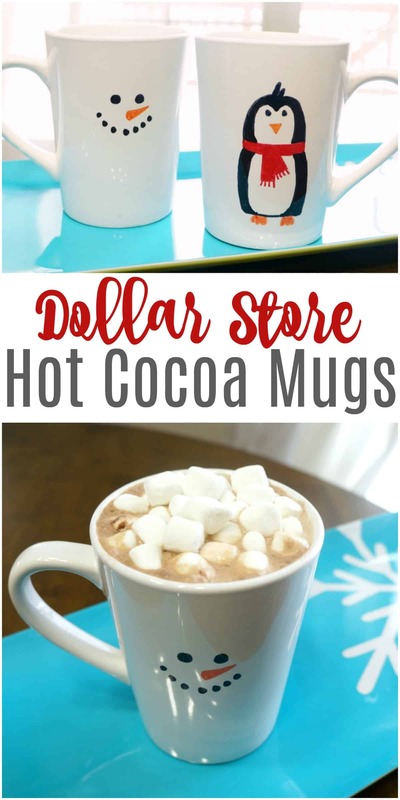 Today I’m showing you how to create some cute and simple Dollar Store Hot Cocoa Mugs. You need 2 supplies, and hot cocoa of course. Check out my quick video below for all the details. There are so many ways to embellish mugs and glasses. I have a few go to big cozy mugs that I use for my morning coffee. Yet I still get excited when a new one comes my way, in my opinion you can never have enough mugs. Use them at home or give them as gifts filled with goodies. 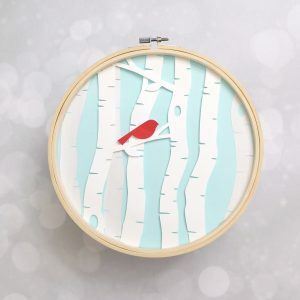 You can glass paint, glass paint for a unique colorful look, or even add a glass paint. I’ve even added succulents to mugs for an out of the box planter. The options are endless. 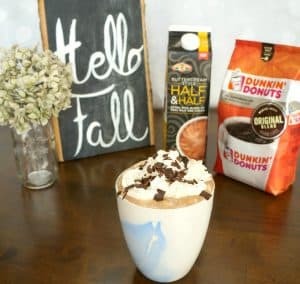 This mug took just a few minutes to make and my kids love them, there is something special about drinking out of a big grown up mug with a cute character on it. These mugs are made with a Sharpie and a white ceramic glass paint I picked up at Dollar Tree. You can find these at your local store or shop online using these links. Keep in mind that this technique is not dishwasher safe. A regular Sharpie will wash off with excessive heat or scrubbing. Gentle hand washing keeps the design in tact. If you want something a bit more durable grab a glass paint or paint pen and cure it using the instructions on the bottle. The cold winter months are a bit more bearable with a warm home and tasty treats. I just love what you did with the mugs. Super cute! Hot coco looks yummy! Those mugs are so cute!! I have the pens and been planning to make some cute mug designs. I bet your kiddos love these! These are really adorable. I love that they are one of a kind, great idea.